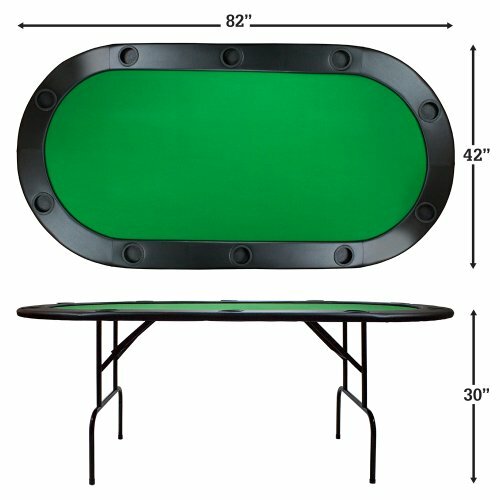 Home / Sports and Outdoors / Green Felt Holdem Poker Table with Cup Holders – 82 x 42 Inches! 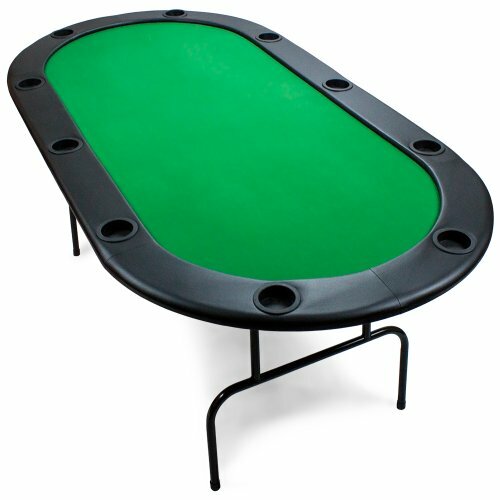 Green Felt Holdem Poker Table with Cup Holders – 82 x 42 Inches! 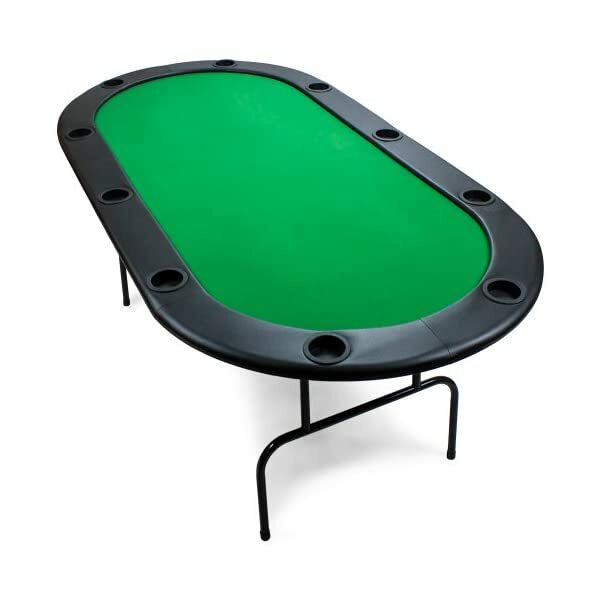 Green Felt Holdem Poker Table with Cup Holders - 82 x 42 Inches! 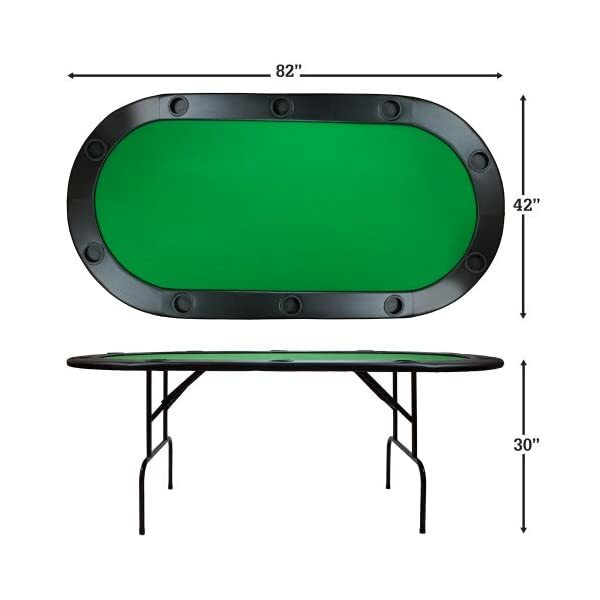 Add an affordable touch to your next home game with this green felt poker table! This folding table is full sized and fits 10 people. This poker table measures 7 feet long, 3.5 feet wide and 2.5 feet tall. The legs easily collapse for convenient storage when not in use. 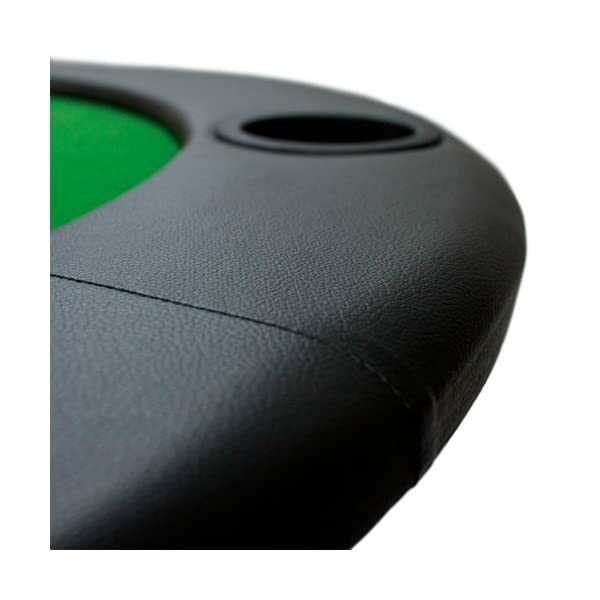 Add an affordable touch to your next home game with this green felt poker table! This folding table is full sized and fits 10 people. This poker table measures 7 feet long, 3.5 feet wide and 2.5 feet tall. The legs easily collapse for convenient storage when not in use. The outstanding price and high-quality make this table hard to beat. 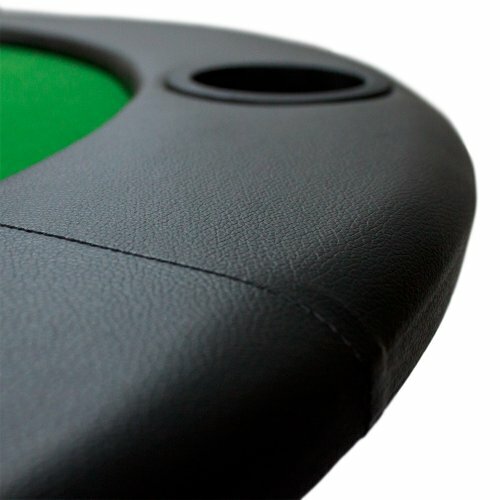 The outside rail is cushioned to give players added comfort during long games. 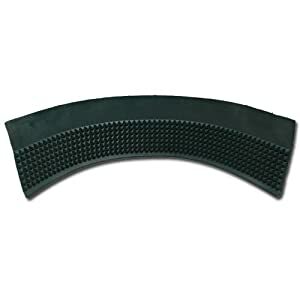 The playing surface is made from green felt. 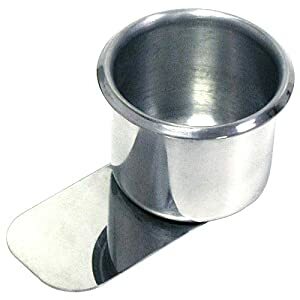 There are 10 cup holders are built into railing, which is a great way to prevent unwanted spills and give players a place to store keys, change and other items. Unique in design, the metal folding legs and underside of the table are securely fastened with metal screws as opposed to glue or plastic fasteners. This table is sturdy and ready for your home game. 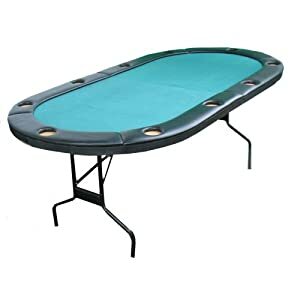 This is the perfect, affordable table for home games, tournaments, casino nights, special events and all other poker needs. This table is fully assembled upon delivery and ready for play. Just unfold, extend the metal folding legs, stand the table upright and deal the cards! Note: WHEN ORDERING THIS TABLE ONLY FREIGHT SHIPPING APPLIES. This price is for delivery in the continental U.S. only. 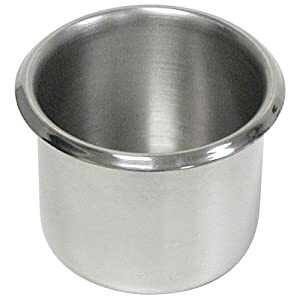 Great for home casino nights, or parties!